Tuesday evening we settled into our rental home for the week. 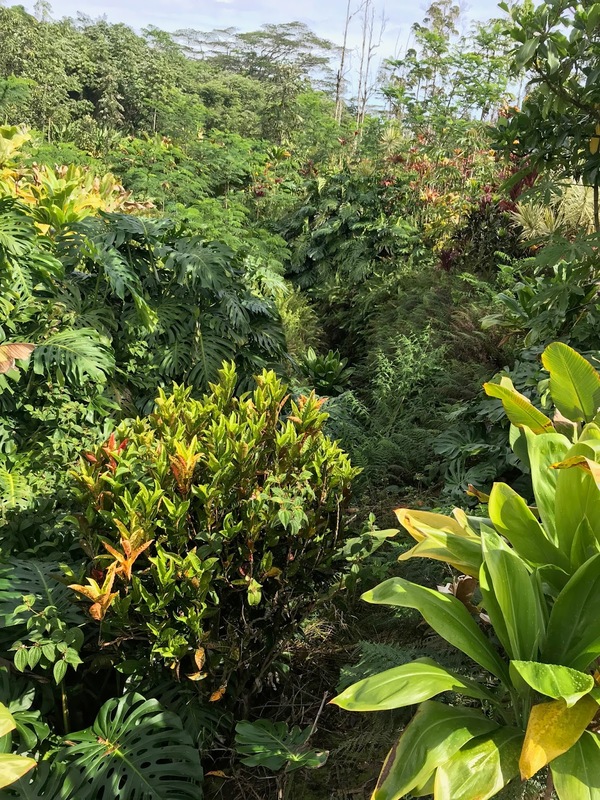 It is a beautiful house in a residential area south of Hilo. The lots are very large; we can barely see the house next door, where the owners live. We have three bedrooms and a large living area/kitchen. There is also a nice big lanai with plenty of seating space and awnings for shade. We went into town for dinner at a Thai restaurant and headed to bed quite early, as everyone was somewhat jet-lagged. 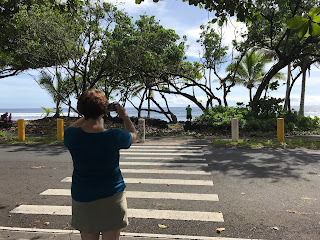 In the morning we drove to a nearby state park, Lava Tree Park. 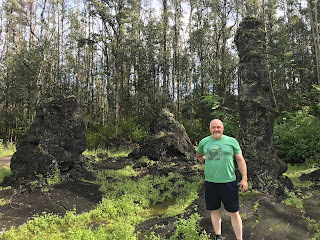 It had a circular path so we could see the incredible vegetation and stumps of lava trees -- lava shapes that took over the trees when it flowed. One area was fenced off because of a deep rift (below). 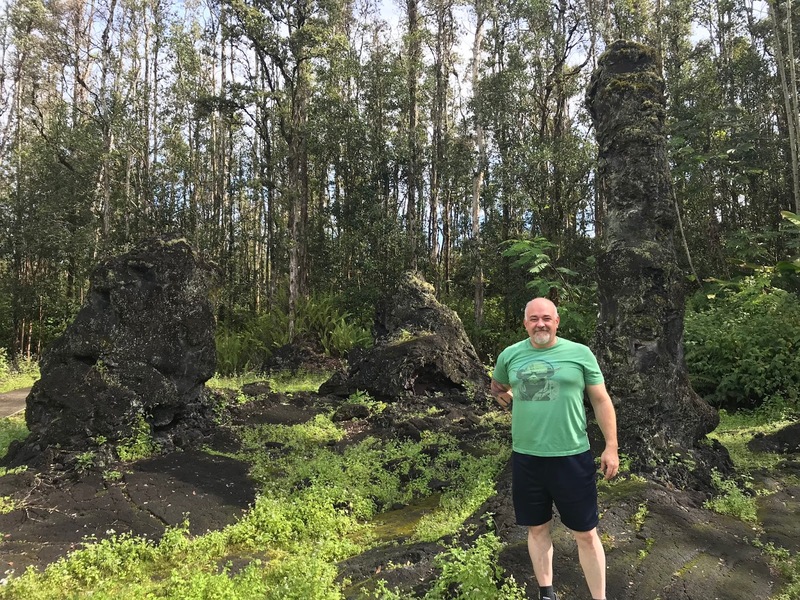 Here is Dirk in front of some of the lava trees. 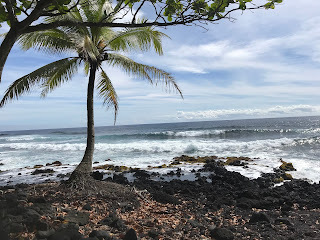 From the park, we drove to two beaches. 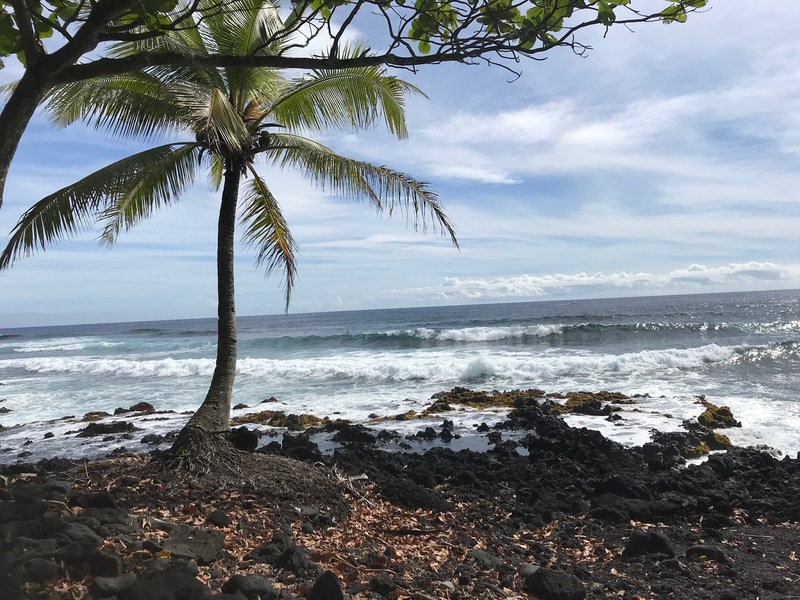 The lava beaches are amazing but treacherous. 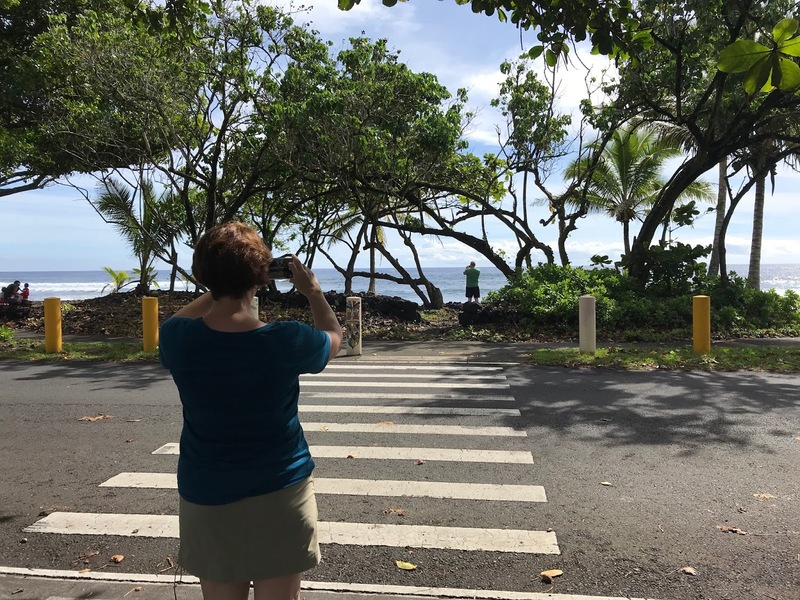 As we approached, I got this great shot of Anjali taking a picture with Dirk taking one nearer to the beach. Here's one of the beaches. 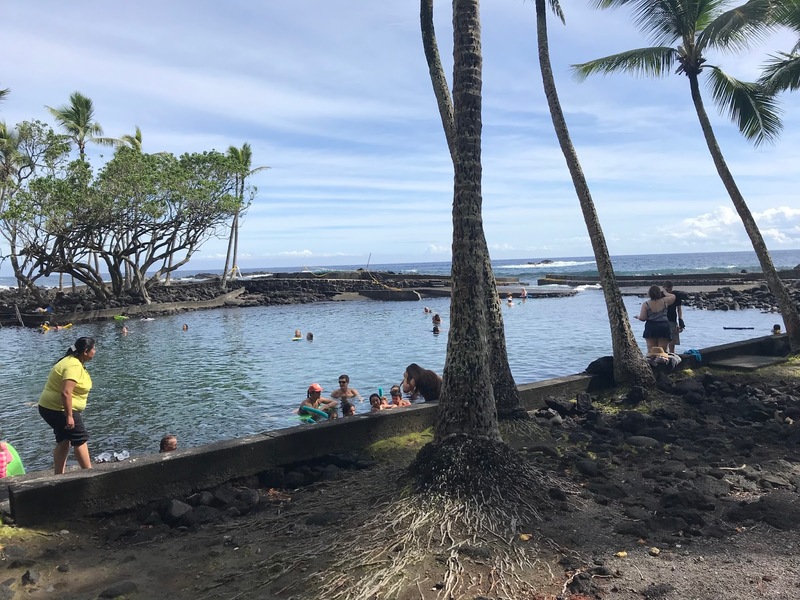 The second one had a pool fed by hot springs with a small opening to the ocean. It looked like a great places for families. Maybe we'll get back and I can swim there. 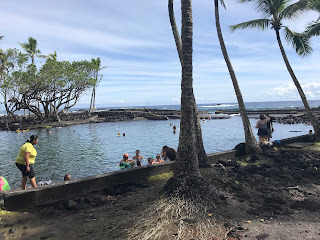 In the afternoon, the other four left for a hike into the lava fields. Dan and I didn't go, so we had a nice quiet afternoon and evening loafing around the house. I must have one shot of the ubiquitous gecko.